This is a GB for the SUPER-RARE Spirit-R Key, pictured below. 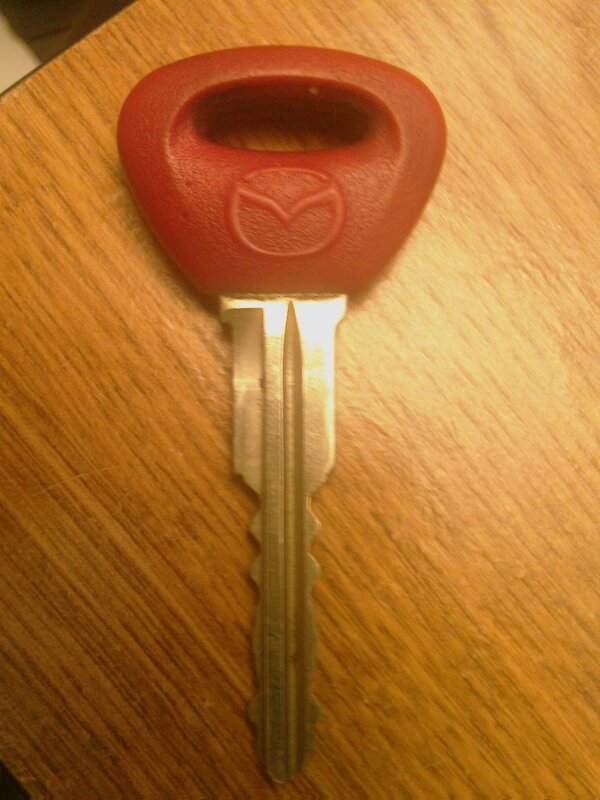 This key has LONG since been discontinued, so I will be reproducing this key from scratch, using an original I have. The final version will be of as high (or higher) quality than OEM. Keys will be available in red OR black. - Upgraded key (red or black) in BRASS with a chrome coating. 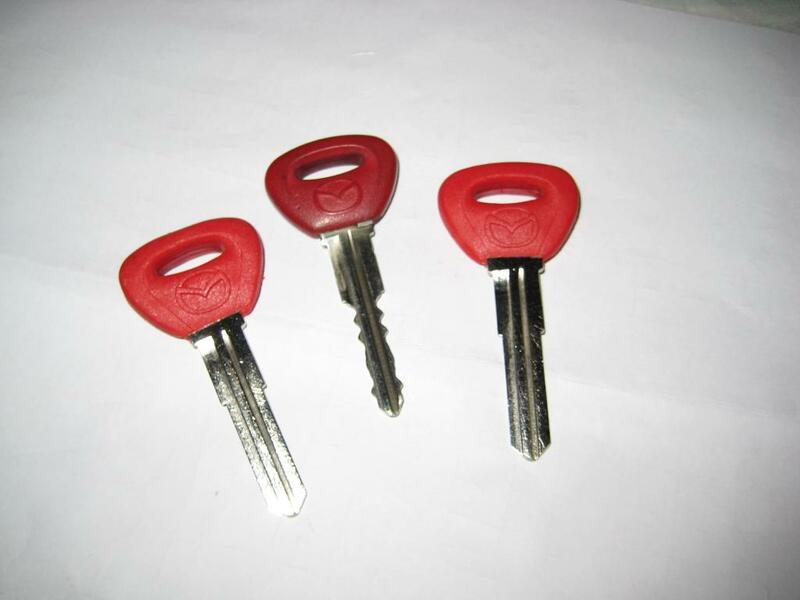 These keys are of superior quality and are more durable, and exceed OEM specifications: $35.55. - There will be a minor shipping charge as well, to be determined by the exact cost of shipping all the keys back to me once they are ready. Last edited by FDNewbie; 09-10-09 at 03:25 PM. I ordered one of each color when this post was deleted the first time. Ramy, I PAID for 3 keys, 1 red and 2 black. Hey where is a pic? - When I went to edit the original post just now after RE-uploading the image, guess what I found? The original link to the image. Which is PROOF that I uploaded it. So what's this mean? Somehow, someone deleted my uploaded file. If you don't smell something fishy, it must be cuz your sinuses are clogged lol. Anyway, pic's up. Deadline's almost here. Get in while you can. PS: Been gettin SLAMMED these past few weeks; will still verify all payments and double check everything and update you guys ASAP. PM'd you Ramy. FYI - I also already paid for one Black and one Red key. RAMY, WTF??? will you PLEASE acknowledge the fact that I sent a second payment for a THIRD key (2 black, 1 red)! I don't know why I keep on disappearing off the list. This was for one red key and one black key. However, I would like to get in for another red one if possible. Relax guys; goin through the payments, and will post up final payment info. The ball is already rolling on getting these keys goin though. Is it too late to join in on this? Is there an update, is the GB closed? 3) I'm gonna warn you guys now. The cost of the material right now is a bit more than I was previously quoted months ago when we began. Since we have so many purchases, this will inevitably result in a SLIGHT surcharge per person (prob. around $5/key). I'm very sorry about this, but it's out of my control. I'm already paying out of pocket because of this. This is the problem w/ doing business in real time in this global market =-/ I hope you guys understand. I will NOT be collecting this cost now; I'll just deal w/ it when it comes time to collect shipping costs. 4) The GOOD news that came out of this is that I can offer TWO different material for the actual metal part of the key to you guys. - The default key will be made of mild steel. This is your average run-of-the-mill key. Seventh Heaven, no it isn't too late to join. Things are officially underway; I'll accept late additions until the keys are ready to ship. Last edited by FDNewbie; 04-20-09 at 09:08 PM. Thank you for posting my correct amount of keys (3) that I paid for Ramy! Make my two keys the brass with chrome coating. Let me know the costs. jdmrxluver #92X199910F714983M (color?) Red I would like mine also in brass w/ chrome. When should i pay? Now or when it's done? I'm not trying to be ignorant but since it took so long to get the ball rolling on these keys Ramy, don't you think you should look after the difference in material cost? I just think that would be fair, coming from a person who also runs a business, thanks. Your payment for $80.00 USD to [email protected] has been sent. Link your bank account to your PayPal account and get Verified. Then you'll be able to shop online and pay with your bank account. PayPal protects your bank account number the same way we protect your credit card number - it's not exposed to merchants when you pay. Plus, once you've linked your accounts, you can send unlimited payments. Your monthly account statement is available anytime; just log in to your account at https://www.paypal.com/row/HISTORY. To correct any errors, please contact us through our Help Center at https://www.paypal.com/row/HELP. I wanted red, and yep, extra 0.14 on it's way when you get the vin cutting cost. This transaction will appear on your bill as "PAYPAL *PAYMENTS". Quick Reply: GB: Spirit-R Key!